Bob Barker and the Cherokee bears: Animal activist Bob Barker and PETA complain about treatment of bears in zoos on the Cherokee Indian reservation. CHEROKEE — Federal regulators shut down a bear park and fined it $20,000 after it was cited for failing to provide adequate shelter, food and veterinary care for the animals. The park previously was cited for failing to maintain adequate barriers between visitors and the bears. Last year, PETA posted billboards calling the bear zoos “prisons” and noted in news releases that in two cases visitors had been bitten, including a 9-year-old girl who was feeding a bear cub Lucky Charms cereal and cat food. A phone call Tuesday afternoon to Chief Saunooke Bear Park went unanswered. The zoo’s owner, Kole Clapsaddle, could not be reached. The U.S. Department of Agriculture issued the fine and order suspending the park’s exhibitor license. The park had 11 bears in its latest inventory in the spring of 2012 — two Asiatic black bears, three grizzly bears and six North American black bears. Of the $20,000 civil penalty, $5,000 is due immediately, and the remaining $15,000 will be held “in abeyance,” provided Clapsaddle does not “have any serious violations” of the Animal Welfare Act for two years. USDA spokesman Dave Sacks said his department will not take custody of the bears. Clapsaddle will have an opportunity to come into full compliance with the regulations. The USDA can confiscate animals if it can prove they are in “a state of unrelieved suffering,” Sacks said. “That’s the only time we can take an animal, not because they’ve been written up for 20 different things or an animal advocacy group tells us to,” Sacks said. The USDA will not conduct inspections on the park now that it is not licensed, but Sacks said “there are ways we would find out” if the bears are being mistreated, most likely through visitors, employees or the media. • Maintain a sufficient distance or barrier between animals and the viewing public to assure safety. • Maintain dangerous animals such as bears under the direct control and supervision of a knowledgeable and experienced animal handler. • Provide food for public feeding that was appropriate to the type of animal and its nutritional needs and diet. • Maintain housing for animals that is structurally sound and in good repair to protect animals from injury and contain them securely. • Keep food receptacles clean and sanitized. • Provide adequate veterinary care. PETA had lodged formal complaints with USDA and met with federal officials, as well as with members of the Eastern Band of Cherokee Indians. The animal rights group also issued a 62-page report from bear experts who visited the bear park and noted many apparent violations of the Animal Welfare Act. PETA is “researching our options” on future action, Winders said. 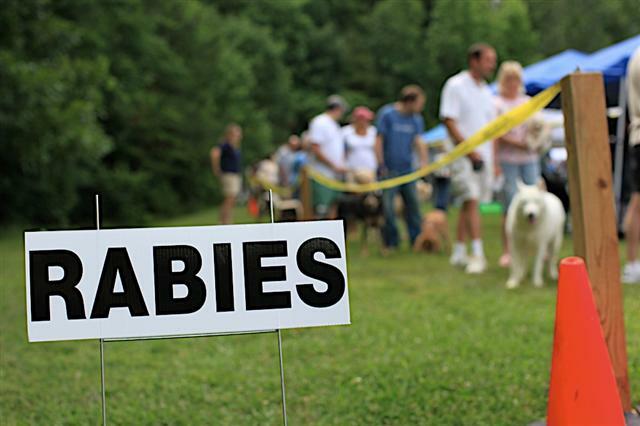 This Saturday, February 2nd, A low cost rabies vaccination clinic, sponsored by the Forsyth County departments of Public Health and Animal Control, will be held at the Forsyth County Animal Shelter. The clinic will be from 9:00 AM to 11:00 AM and is planned as a supplemental vaccination opportunity to the large spring and fall clinics. Vaccine is $5 per pet. Only 1 year shots will be given. 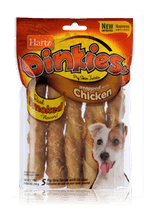 January 25, 2013 — The Hartz Mountain Corporation of Secaucus, New Jersey, has announced it is voluntarily withdrawing its Hartz Chicken Chews and Hartz Oinkies Pig Skin Twists wrapped with Chicken for dogs in the United States because they contain trace amounts of antibiotic residue. Hartz is taking this action after recent testing found trace amounts of illegal antibiotic residue in samples of the affected dog treats. These antibiotics are approved for use in poultry in China and other countries but are not in the U.S.
No other Hartz products are affected by the withdrawal. If you have these products contact Hartz Consumer Affairs at 800-275-1414. Labels: Animal Health , Chicken from China , County Animal Shelters , Dinkies , dog treats recall , Hartz , NC Shelter Rescue , NC Shelter Rescue Inc , recalls , Susan Barrett , Susan Barrett in N.C. I don't know of another business that would be allowed to operate in North Carolina for over 8 years, still need to educated by State Inspectors about the accountability of their job and not be accessed heavy civil penalty fines other than our County Animal Shelter System. In 1977 the North Carolina General Assembly enacted an "Animal Welfare Act" to ensure that animals, as items of commerce, are provided humane care and treatment by regulating the transportation, sale, purchase, housing, care, handling and treatment of animals by persons or organizations engaged in transporting, buying or selling them. This Act is intended to protect animals confined in pet shops, kennels, public and private animal shelters, and auction markets. For the purposes of this Act, "animal," as defined by General Statute 19A-23, includes only domestic dogs and cats. 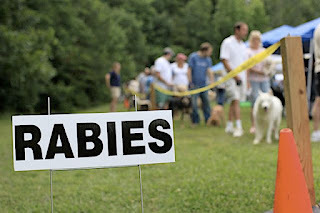 This should not be confused with county-operated animal shelters that are regulated by county governments and their officials. 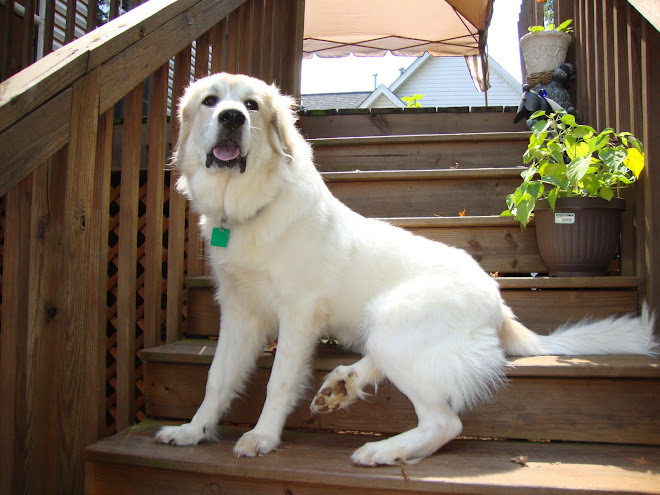 State issued certificates or licenses are required for animal shelters, pet shops, boarding kennels and dealers. Criminal penalties are provided for the operation of a pet shop, kennel, animal shelter, etc., without a license. In 2005 the North Carolina Animal Welfare Section was created and placed under the jurisdiction of the North Carolina Department of Agriculture. This new NC AWS is to over see our County Animal Shelters, Pet Shops, Boarding facilities and Kennels. State Inspectors were hired, and the State of North Carolina was divided up by counties between these new Inspectors. The job of these State Inspectors is to make sure these facilities are following the NC Animal Welfare Act along with better understanding how to care for the animals in all those cages. This would include a cleaning protocol, feeding of caged animals, the enclosures in which hold these animals, ambient temperature, intake, adoption, euthanasia and more. Going on 8 years now why would these State Inspectors still need to explain to these County Animal Shelters that you must remove mold from the food bins, that you must feed adult animals once a day and if they are puppies and kittens they must be feed 2 times a day, that all animals must have access to fresh clean water 24-7, that dead animals must be removed from the kennels, to sanitize to help stop the spread of disease, to maintain an ambient temperature for these animals while in their care, to not hose down the kennels/cages with the animals still in their kennels/cages, to give each animal a resting platform and more? If you can not follow the standards of the NC AWA and NC AWS after 8 years then the County and State needs to cut their losses and employee someone who can. It's inexcusable that after Inspection after Inspection we still find many North Carolina County Animal Shelters not preforming the basic needs for the live animals that find their way into their care. And we wont even speak of the animals that find their way into the euthanasia room of these same Shelters. Why is this still acceptable in 2013? Not feeding an animal, denying them access to fresh clean water let alone not keeping their area clean is listed as animal cruelty by the NC General Statues and it punishable by law and with heavy civil penalties to be accessed, so why are these same County Animal Shelters getting a free pass after 8 years and not being accessed the civil penalties either? Example pictured below is of Rowan County Animal Shelter, but this is not just about Rowan as if you look you can find this same neglect care being given to the animals in just about any other County in NC. 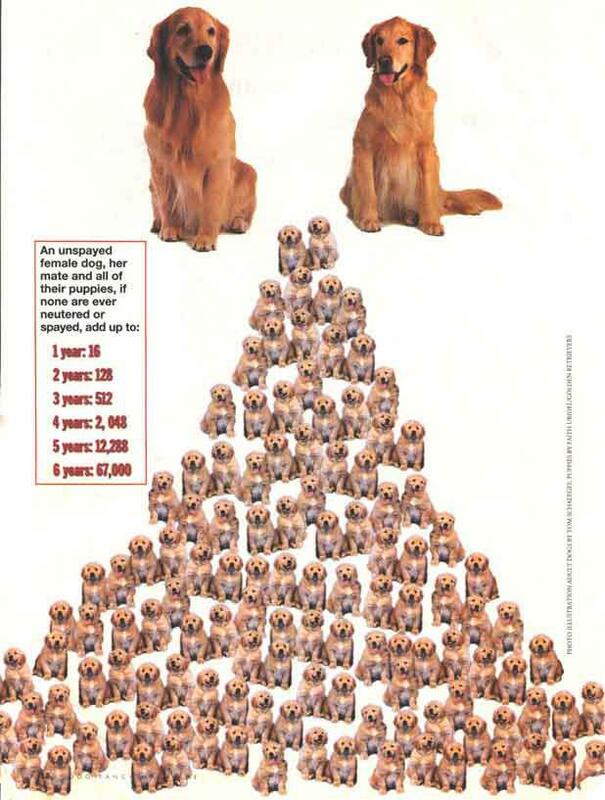 Robeson County Humane Society helps with Spay & Neuter Clinics.To combat the problem, the animal shelter at 3180 W. Fifth St., which is open Tuesdays through Fridays from 11 a.m. to 5 p.m. and Saturdays from 10 a.m. to 2 p.m., is offering a voucher redeemable at any veterinarian’s office in Robeson County for a free spay or neuter. A person making less than $33,510 a year is eligible. Two people making less than a combined income of $45,390 a year are also eligible. 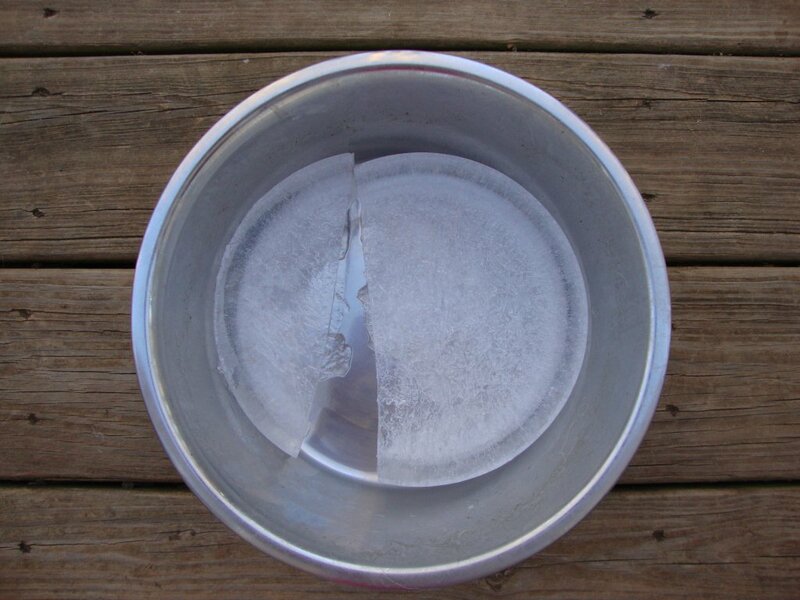 Animals are unable to find access to water with all these freezing temperatures. Please check your outside water bowls several times a day. Horses, Sheep, Pigs and other animals including our wild birds are all struggling to find access to water during these cold temperatures. Just a reminder to help all these animals esp. our outdoor family pets including feral cats. Labels: Animal Abuse , Animal Health , Animal Shelters , Animal Welfare , NC Animal Advocates , NC Animal Welfare Act , NC County Animal Shelter , NC Shelter Rescue , NC Shelter Rescue Inc , Susan Barrett , Susan Barrett in N.C.
Privacy and Respect are out the window, today when we want to prove our point we fight as dirty as we can to win, is that the world we live in now days? I’m not a bandwagon jumper, my wagon is not “hitched” to PETA, HSUS, ASPCA, Nathan Winogrand, NCVAW, Susie's law nor any other group not listed, but in the minds of many of these larger money making organizations if you’re not in their “camp” you are their target enemy number 1. Money, Money, Money…. We all need it to keep the doors open for any business but when it comes to being an Animal Advocate one would think the fight for a piece of the pie wouldn’t be so brutal and you would be completely wrong. Each organization it trying to get you to donate your funds to them and when doing so the truth seems to be stretched many times over. My question would be, how much of any of the money taken in by some of these groups actually make its way back to the animals and the care they need versus paying for salaries, office buildings, furniture, phone and gas allowances and any such items that go into running a business? Yes, key word here is business and all these organizations are operating a business with assets of one kind or another. And when you are in business you become cut throat to take out your competition. Sadly in this ball game the competition is another group or individual that is also trying to save the lives of our voiceless animals. So as you guessed the animals get the short end of the stick due to this competitive fight. The last several weeks I have been at a crossroads after reviewing information that had made its way to me. I had to take a long look at how I personally felt about the situation and the long term impact if myself and others buried what we knew took place. Do I ignore it or do I get involved and speak out about it from my point of view due to the impact for future NC Animal Shelter Issues. So after contacting all parties involved and expressing my concerns with what took place it finally brought me to hoping I could bring awareness on how this could be the start of some Groups, Organizations and Business’s ending the work of individuals in the Animal Advocates Community as a whole simply due to the fact that we don’t beat to the sound of their drum. What we all need to realize is that each of us no matter what Group, Organization, Business or Individual we are, we all bring something different to the table in the Animal Advocate Community and with this we all need to show some respect for the others work and not try and to make everyone conform to a particular or agenda. If someone wants to work independently off and away from any other group, then it’s their right and they are also allowed to have their personal views on a subject and at no time should anyone feel just because they have a title behind their name they can squash others like bugs on a windshield. ( And everyone needs to keep it about the topic at hand only). So for your view, here is a formal complaint to an individual’s employer demanding to have a blog removed about NC Animal Shelter Issues. And notice this person felt the need to add in both her titles to show weight to force a hand in getting her way. I feel this is 100% incorrect as the person who wrote the complaint didn’t one time contact the blogger to ask for a “meet and greet” to better understand her take on such emotional issues that seem to divide us all. Attacking one another is normal in the AR World. It's gone to far when your intention is to get someone fired from their employment for only writing a blog about events that actually took place in such a depressed economy you have went too far, but I need to add these are my thoughts as I feel this is hitting below the belt. 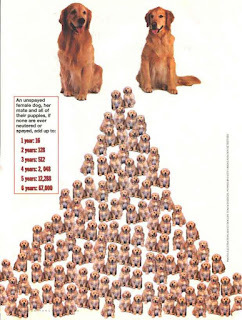 In NC many ACO and Shelters call themselves “pounds”. They even answer the phone calling themselves a pound, if you go sit thru a town meeting or board of health meeting in a rural community you will hear the word “ pound “ used to refer to the Animal Shelter. I personally hate this word and I feel in 2013 no matter how rural your area is you need to get with the times and stop referring to any Animal Shelter a “pound." And the only reason I even bring up the word “pound” is the person who wrote the complaint uses this word to strictly try and swing the vote her way to have a blog removed. The word is used to excite and sensationalize the situation at hand again to swing the vote in her favor. I personally do not know the person who writes the Fix NC Blog, I have no real connection to any of the parties involved other than it hit too close to home due to current issues I find myself in. And what I despised more than ever is that another person felt they could use titles to force an individual to stop speaking out on issues we face here within the NC Shelter System. So for me this complaint is nothing more than a bully tactic to both shut up and shut down anyone who speaks out as an individual on the issues they see before them. Either conform with the big fish or they want to eat you, is this where this is now going? I know from personal experience that the larger Organizations do not speak out on many issues that some of us see weekly if not daily within our Shelter System. Is it perfect, NO, are all NC Shelter Employee’s uncaring, NO, but sadly we all need to understand that not all of our County Shelters or Employees have the best intentions for these animals. Just like in any other business, you have some great employees and then you have the ones who leave you with nothing but issues to deal with and their mess to clean up. If we all did what we were supposed to in life, none of us would find ourselves where we are now, but we don’t live in a perfect world and we are not surrounded by perfect employees in every job. No one is perfect. Take what you want from the complaint shown below, but for me this is just another sign of the times that the powers that be want us to march in line with them and have no individuals rights of any kind. Just take this situation and compare it to all those bloggers and News Stations who report on issues that are not agreeable to others, those that try and shed some light on some dark issues we face in our world. So does this mean that none of us are allowed to write how much we disagree about the economy, local Government Offices or School System issues? Are we now to understand that we better not ever bring up uncomfortable issues in hopes to spread the word of an unpleasant situation? 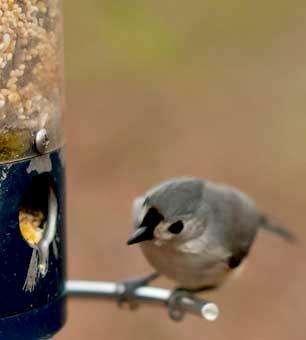 (Photo: Garen Meguerian)Tainted, mislabeled pesticides added to the company's wild bird seed resulted in countless wildlife deaths, massive product recalls and unprecedented civil and criminal penalties. America's leading lawn care company is in big trouble for potentially poisoning wild birds across the country, and lying to the government and consumers about pesticide products. Before a voluntary recall in 2008, The Scotts Miracle-Gro Company sold 70 million units of wild bird feed that was illegally treated with an insecticide that is dangerously toxic to wild birds, fish and other wildlife. The Marysville, Ohio-based company must now pay $12.5 million in criminal and civil penalties that regulators say are the heftiest ever issued under federal pesticide law. It's practically impossible to quantify how many wild birds and other wildlife were impacted by Scotts' crimes against nature, but a federal court in Ohio fined the company $4 million, plus $500,000 worth of environmental community service, after Scotts pleaded guilty to distributing the poisonous bird feed and other crimes involving mislabeled and unregistered pesticides. In a separate civil agreement with the EPA, which launched a civil investigation after the criminal violations were discovered, Scotts agreed to pay $6 million in fines and donate $2 million to environmental projects. Regulators also are touting this settlement as the largest in the history of the Federal Insecticide, Fungicide and Rodenticide Act (FIFRA), which has regulated pesticides since 1947. Scotts plead guilty to selling consumers wild bird feed that was poisonous to birds, along with deceiving regulators by falsifying pesticide registration documents, distributing pesticides with misleading and unapproved labels, and distributing unregistered pesticides. Misuse and mislabeling of pesticides can cause illness in humans and kill wildlife, and as a result of the settlement, a "significant number" of potentially harmful pesticides will be removed from the market, according to the EPA. "As the world's largest marketer of residential-use pesticides, Scotts has a special obligation to make certain that it observes the laws governing the sale and use of its products," said Ignacia S. Moreno, assistant attorney general for the Environment and Natural Resources Division of the Department of Justice. Scotts added the pesticides Storcide II and Actellic 5E to the wild bird feed to prevent insect infestations while the product was in storage, but the company apparently ignored the warning label on Storcide II that specifically states the pesticide is toxic to birds, fish and other wildlife. Scotts sold the tainted bird feed for two years after it began marketing the product, and for six months after company employees alerted management to the danger posed by the pesticides, according to the EPA. Scotts also pleaded guilty to submitting falsified documents to the EPA and state regulatory agencies in an effort to deceive regulators into believing that the chemical formulas were registered with the EPA, when they were not. Scotts claims an unnamed "former associate" submitted the falsified documents. The company claims this "former associate" has plead (sic) guilty to federal crimes and insists that she acted alone. As the criminal violations came to light, the EPA launched a review of Scotts' pesticide registrations that uncovered a list of civil violations. For at least five years, Scotts had made nationwide sales of canceled, unregistered and misbranded pesticide products, including products with inadequate warnings or cautions on their labels. Scotts also imported pesticides into the United States without documentation required under law, causing more than 100 Scotts' products to be in violation of federal registration law. In a letter to consumers and investors, Scotts CEO Jim Hagedorn wrote that the company's actions do not reflect Scotts' "core values and history." Hagedorn pointed out that, as part of the civil and criminal settlements, Scotts will spend $2.5 million to help restore and conserve habitats in Ohio. In his letter, Hagedorn claimed his company voluntarily disclosed to the government that it had illegally applied the insecticides to the bird feed, and also voluntarily recalled several other products. EPA regional spokesperson Josh Singer told Truthout that, during the civil investigation, Scotts complied with 40 orders to stop the sale of more than 100 Scotts products that were in violation of federal law. Scotts also paid a third-party reviewer to check the compliance status of the company's products, and shared that information with the government. 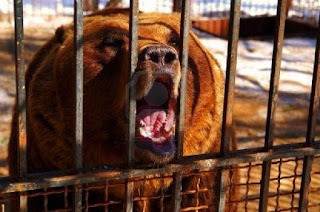 CHEROKEE, N.C — An animal rights group is calling tribal bear zoos "prisons" on a billboard targeted at tourists showing a little girl crying with a bloodied bandage on her hand. The sign along Interstate 26 near Asheville, N.C., offers this warning: "Children Bitten at Bear Pits." The billboard is the latest in a two-year battle that People for the Ethical Treatment of Animals has waged against the zoos on the Cherokee reservation about an hour and a half west of Asheville. It follows an incident last summer in which a 9-year-old girl was bitten at Chief Saunooke Bear Park while feeding a baby bear a mixture of Lucky Charms cereal and cat food. The group's efforts are starting to hurt, one zoo owner said. "It's affected my business earnings," said Barry Coggins, owner of the Cherokee Bear Zoo. "PETA is doing a lot of harm to my family." The tribe's chief has threatened the group with a ban for its protests. It has flown in game show icon Bob Barker for a meeting with tribe leaders and is suing the U.S. Bureau of Indian Affairs in Washington over records related to the bear zoos. The Barker visit ended in 2009 with the former "Price Is Right" host calling the Cherokee uncivilized and the tribe's chief urging him to stay in California. Past billboards have called the zoos tourist traps and urged visitors to boycott. In some cases, the zoos are concrete block pens that let tourists see and feed bears from above. 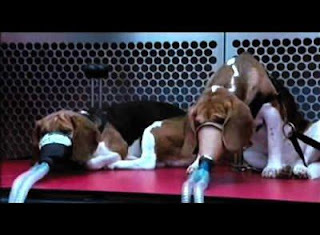 PETA says they are inhumane. Zoo owners say they are important to the area economy. "We'll keep fighting until they close down these archaic pits, which are a throwback to decades ago when no one knew much about bears' behavior and needs," said Delcianna Winders, PETA's director of captive animal rescue and enforcement. "Let bears be bears." Coggins has native black bears, grizzly bears and European brown bears at his zoo along with an assortment of other animals. Customers may have a photo made with a baby black bear. "It seems like they are taken care of," she said. "They've got good water. It looks like they get plenty to eat." Some of the bears perform tricks such as standing and turning in a circle or clapping their paws as customers toss a mix of apples, bread and lettuce over the side. Admission is $5. The three roadside zoos on the reservation — Cherokee Bear Zoo, Chief Saunooke Bear Park and Santa's Land — are inspected by the U.S. Department of Agriculture, which makes sure they comply with the federal Animal Welfare Act. An inspector happened to be on hand in July 2010 to witness the girl being bitten. The inspector's report described the girl's wounds as "scratches on the palm and back of the hand and tooth marks on the wrist bone." Bear zoos were established on the reservation before tribal casinos, said Coggins, whose family has been in the business 20 years. Visitors bought leather moccasins, had their photos made with roadside "chiefs" and visited shops that used caged bears out front to draw customers in. Today, Harrah's Cherokee Casino & Hotel is one of North Carolina's top tourism draws and among the largest private employers in the western part of the state. The casino opened in 1997. National hotel chains moved in, replacing some of the old mom-and-pop operations. The tribal government built Sequoyah National Golf Club and renovated part of downtown for a more upscale look. But the bear zoos remain, and Coggins said he's proud of his zoo and they way his animals are treated. "We love them like pets," he said. "We are lucky to have it so you can get up close and even hold one." Some Cherokee leaders say it's time to close the zoos. Patrick Lambert, executive director of the Cherokee Tribal Gaming Commission who is running for principal chief this year, said he would like to see a zoo built on the reservation that offers a more natural habitat. "I think we need to work toward the closure of the concrete bear zoos and show the humane, Native American way of dealing with our animals," he said. A larger zoo on the reservation would help the economy by attracting families, he said. Others don't want to hurt small businesses. Principal Chief Michell Hicks, who is running for re-election, said he doesn't agree with PETA's tactics. He said many tribe members feel the same. Hicks said he supports the bear zoos and free enterprise, though he would like to see changes. "I hope that in the future we can see some expansion in the parks and the habitats," he said. Ostendorff also reports for the Asheville (N.C.) Citizen Times. 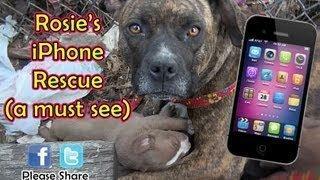 What a great idea for anyone looking for the puppies a homeless mother dog has hidden on the streets. This way the whole family gets saved. Why has there been no recall or statement issued by the FDA? How many injuries and deaths must there be before someone takes some action? The FDA has three levels of recall. 1.The recall is made by the firm’s own initiative. 2.The FDA makes a request to recall. 3.The FDA orders a recall under statutory authority. 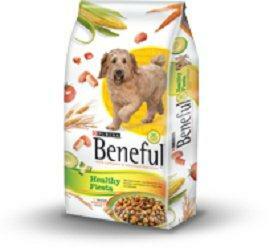 The FDA website was updated as of December 31, 2012, and with just about every other pet food available listed on the site, there is blatantly no mention of either Purina or Beneful. In 2007, Purina dog food was identified for dog fatalities after an autopsy revealed aflatoxins in the food and the ASPCA became involved. Aflatoxins are known to be found in moldy grains, like the corn that would be in the dog food. At that time, there was a large recall. 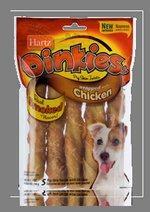 In 2005 100 dogs died for the same reason prompting another recall of a different brand of food. Alabama 6333 64-B-0062 Fallin, Tony T & N Acres 55 Copeland Rd. Alabama 835 64-B-0063 Southern Biotechnology Associates, Inc.
Arkansas 7213 71-B-0140 Pel-Freez Arkansas, L L C 219 N.
California 17731 93-B-0214 Chemicon International, Inc.
California 7032 93-B-0205 Quality Pets Of California, Inc.
California 3832 93-B-0192 Santa Cruz Biotechnology, Inc.
California 1121 93-B-0206 Scantibodies Laboratories, Inc.
California 3688 93-B-0184 Yates, Kevin Animal Educators P.
Colorado 44021 84-B-0112 3 F Pets & Supplies, Inc. 1812 W.
Colorado 25947 84-B-0092 M.J.M. Caviary & Rabbitry, Inc.
Colorado 16316 84-B-0086 Scales 'N Tails, Inc. 1470 W.
Colorado 31400 84-B-0101 Shellabarger, Patricia 61935 C.R. Delaware 719 50-B-0013 Analytical Biological Services Inc.
Delaware 6040 50-B-0003 Rad Pets 626 Scrap Tavern Rd. Florida 14547 58-B-0392 Gibbons, Arthur 5712 S Plantain Pt. Florida 2980 58-B-0433 Jesse Williams Inc 2475 Inagua Ave.
Florida 14171 58-B-0334 Luna, Juan John's Pet Shop 1618 Alton Rd. Florida 7892 58-B-0362 Underground Reptiles Inc 151 N.
Illinois 3844 33-B-0298 The Animal Store Inc 4364 W.
Indiana 2694 32-B-0085 Chambers, K Kevin 7816 N. Cr 75 W.
Indiana 2695 32-B-0046 Harps Exotic Fish & Pets Inc 1309 N.
Indiana 2706 32-B-0176 Picture Perfect Pet Center, Inc.
Indiana 2702 32-B-0121 Smalley, Gary Smalley Exotic Farm 7014 W.
Iowa 28397 42-B-0238 Admire, Rusty Biggest Small Ranch 1006 S.
Iowa 37113 42-B-0252 Cornstalker Kennels 3940 Hickory Ave.
Kansas 42450 48-B-0307 Bowman, Darcy That Critter Place P. O.
Kansas 34479 48-B-0302 Carpenter, Mary Blue Moon Kennels P. O.
Kansas 31563 48-B-0292 Fawcett, James P. 711 Crestview Dr.
Kansas 4114 48-B-0007 Kibbe, Martha Kibbes Kennels 300 N.
Louisiana 4774 72-B-0005 Waubun Laboratories Inc. P.O. Massachusetts 1799 14-B-0013 Charles River Laboratories, Inc.
Minnesota 43437 41-B-0257 Har Mar Pet Shop Inc 2100 N.
Minnesota 2812 41-B-0133 Susalski, Mary Ann 15882 203rd St.
Minnesota 2814 41-B-0002 The Bio Corporation 3911 Nevada St.
Missouri 40008 43-B-3646 Amox Inc Aniclin Preclinical 222 S.
Missouri 42316 43-B-3640 Brewer, Lisa The Puppy House 430 W.
Missouri 43051 43-B-3649 Christine A. Shepherd, Rickey D.
Missouri 4327 43-B-0010 Lolli Bros Livestock Market Inc.
Missouri 40342 43-B-3629 Petsway L L C Petsway #9 1669 E. St.
Missouri 42287 43-B-3642 Stefanie Hood, John Hood & 308 S.
Montana 27032 81-B-0014 Exotic Pets, Inc. 2431 Rancho Rd. Nebraska 5098 47-B-0056 Crittersville Kennels Inc. P. O. North Carolina 3362 55-B-0139 Blue Ridge Fish Wholesale, Inc.
North Carolina 3267 55-B-0010 Carolina Biological Supply Co.
Ohio 16574 31-B-0110 Skunk Haven Inc 32072 Center Ridge Rd. Oklahoma 28709 73-B-1806 Chouteau Auction Company, L.L.C. Oregon 39445 92-B-0240 Ashland Pets 1664 A Ashland St.
Oregon 3663 92-B-0219 Roberts, Donna 7247 Old Stage Rd. Oregon 43100 92-B-0241 Slack, Ronald Bailey Kennels 4716 Hwy. Texas 17700 74-B-0548 Caruth Clark Byrd Wildlife Found. Texas 8124 74-B-0541 Friedel, Gerwin Topsey Exotic Ranch 818 N.
Texas 29518 74-B-0527 Greenwood, Peggy The Fish Bowl P. O.
Texas 32925 74-B-0560 Hasan, Maqbool Star Pet Shop 2328 N.
Texas 8926 74-B-0513 Huntsville Livestock Services P. O.
Texas 8167 74-B-0565 Johnson, Larry Safari Enterprises P. O.
Texas 42298 74-B-0624 Moore, Brian B. Moore Retrievers 143 W.
Texas 6543 74-B-0324 Nordin, Larry W. Munchrath And Michael L.
Texas 36447 74-B-0572 Northside Ag & Ranch, Inc. 5705 N.
Texas 7842 74-B-0585 Pereira, Bonnie L. Jenkins & Jami L.
Texas 42926 74-B-0632 Puppy Dot Dog, L L C 22229 E.
Texas 15361 74-B-0635 Small Paw Kennels, Inc. Zakk's Pets P.O. Texas 41376 74-B-0627 Williams, Cindy Your Pet's Store 1019 N.
Texas 17435 74-B-0606 Y. O. Ranch 924 Jefferson, Apt. Washington 7040 91-B-0076 Benhardt, Ed Reindeer Express P.
Wisconsin 33579 35-B-0176 Rienow, James Dreamcatchers 4312 N.
Wyoming 25264 83-B-0003 Keck, Ronald & Ruth R & R Pet Barn 201 N.